MainAll NewsJewish WorldWill Raoul Wallenberg's fate finally become known? 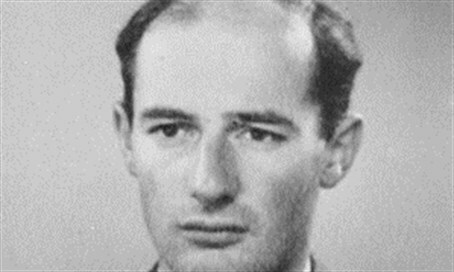 Will Raoul Wallenberg's fate finally become known? New initiative launched to find out the truth about the brave Swedish diplomat who saved tens of thousands of Jews in WWII. A new chapter in the ongoing saga of the attempts to discover Swedish diplomat Raoul Wallenberg's fate began on January 17, 2016, the 70th anniversary of Wallenberg's arrest in Budapest by advancing Soviet Forces. Called "The Raoul Wallenberg Research Initiative", also known as RWI-70, it is headed by noted historian Suzanne Berger, who served as an independent consultant from 1995-2001`to the Swedish-Russian Working Group that investigated the fate of the architect and businessman-turned diplomat whose heroic humanitarian work was accomplished at the risk of his own life. The initiative aims to make better sense of the knowledge and understanding gained up to now about the Wallenberg's fate and is organizing the existing information and outlining a plan for continuing the progress that was made in the past. During six harrowing months in 1944, Wallenberg and his colleagues managed to protect tens of thousands of Budapest's Jews from deportation and death by issuing Swedish protective passports and by organizing a vast rescue apparatus that provided essential housing, food, clothing and medical care. After his detention, Wallenberg was taken to Moscow where he disappeared. The full circumstances of his fate have never been determined. Soviet authorities claim that he died on July 17,1947 but the information has never been verified. In order to pool whatever facts are known and access new sources of knowledge, the Raoul Wallenberg's International Roundtable ART OF THE IMPOSSIBLE will take place on May 20-21st, 2016 at the Holocaust Memorial Center in Budapest. It will bring together international researchers, historians and members of Raoul Wallenberg's family to discuss how to obtain access to key documentation in Russian and other international archives. More than 80 participants have signed up so far. In addition, world-renowned author and photographer Inna Rogatchi has created a special art work, "Thinking of Raoul Wallenberg" as part of her new series Shining Souls. Champions of Humanism. The art work is also meant as a contribution to the RWI-70 activities, which the Rogatchi Foundation is promoting. The Jerusalem Connection Report gives more details of the initiative and how to help it. Joining the newly revitalized efforts are the European Commission; B'nai B'rith International; the Moscow Memorial Society; Team 29 (St. Petersburg); the Norwegian Helsinki Committee; the Antal Ullein-Reviczky Foundation (Hungary); Professor Szabolcs Szita and the Holocaust Memorial Center (Hungary); the Cold War International History Project of the Woodrow Wilson Center (U.S.A); the Living History Forum (Sweden) and the Robert F. Kennedy Center for Justice and Human Rights (U.S.A). Individuals have also joined, including British author John le Carré; Jan and Peter Anger (the sons of Per Anger, Raoul Wallenberg's colleague in Budapest) and the former Chairman of the Swedish Working Group in the Wallenberg case; Ambassador Hans Magnusson. Paul Martin, the former Prime Minister of Canada and Irwin Cotler, Canada's former Minister of Justice, Cecilia Ahlberg, the Wallenberg's great-niece from Sweden as well as many Holocaust survivors and individuals saved by Raoul Wallenberg and the various rescue initiatives in 1944 have also joined the initiative. Mme Marie Dupuy, Raoul Wallenberg's niece, is helping to coordinate the work of RWI-70.